The AFM is showing their support for advocacy, diversity and organizing by cosponsoring Arts Advocacy Day and taking part in their project, Las Vegas LIVE. After 20 years of solid growth, SphinxConnect has become the quintessential gathering for black and Latinx musicians. Mid-Term Elections Upend Executive and Legislative Branch Single Party Governance, Women Triumph! On November 6, the American electorate voted to overturn single party governance within Congress. By the end of the evening, Republicans maintained control of the US Senate, picking up seats, while the Democrats took full control of the US House of Representatives, secured by a 39-seat pick up. 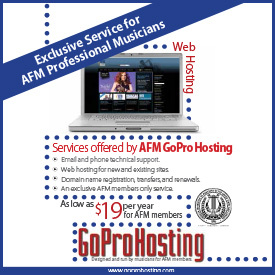 The AFM and all music creators marked a big win last month as President Trump signed the Orrin G. Hatch-Bob Goodlatte Music Modernization Act (MMA) into law after it was passed and reconciled by US House and Senate. Midterm elections will take place across the country on Tuesday, November 6. 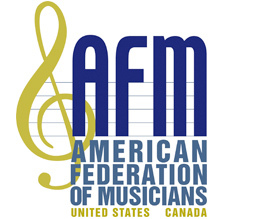 Much is at stake in Washington, DC, for AFM professional musicians. AFM-Employers Pension Fund (AFM-EPF) trustees urgently ask that each of you contact your member of Congress right away to express your support for a fix to our multiemployer pension plan through the Butch Lewis Act (S. 2147). This month, the AFM Office of Government Relations examines two critical government issues—pension reform and the Janus decision. Pension Advocacy and Security Solutions for pension reform now rest in the hands of the bipartisan Congressional Joint Select Committee on Solvency of Multiemployer Pension Plans (JSC). As I noted in the May International Musician, federal arts and entertainment policy experienced a seismic shift in leadership in Washington, DC, when Representative Louise Slaughter (D-NY), Democratic co-chair of the House Arts Caucus passed away unexpectedly in March. For the past 20 years, the Sphinx Organization has played a quintessential role in moving the US, and in some instances the global cultural community, toward a more enlightened future that exudes cultural inclusion.